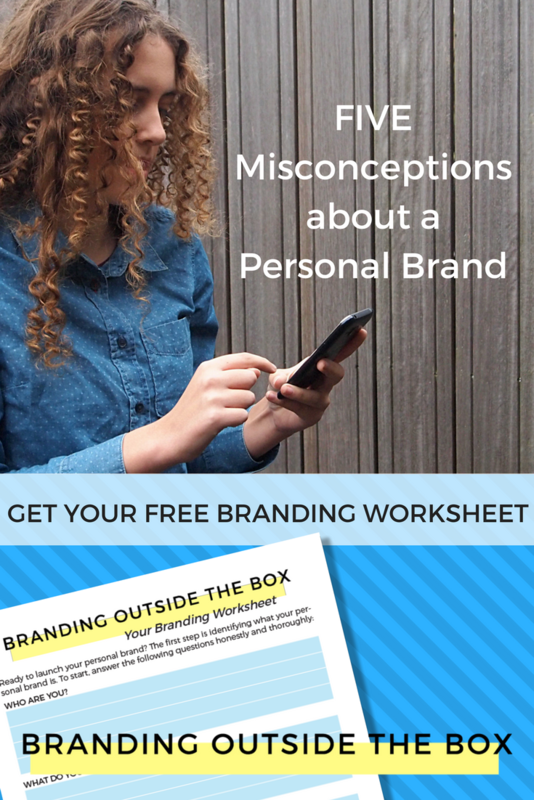 When I first launched Branding Outside the Box, I was surprised at how much confusion and misinformation there was surrounding personal branding. Many people don’t really know what a personal brand is, some think they know what it is (but really don’t), and the majority of people I’ve met don’t think of personal branding as something they should focus on. If I’m speaking to a group of people and I bring up the topic of personal branding, at least someone in the group is going to roll their eyes and tune me out. It’s not that people are out of touch or uninterested in advancing their careers–far from it. I find that the reason many people don’t focus on personal branding is because of the many misconceptions out there. Let’s clarify a few of these misconceptions, shall we? A personal brand is about logos and visual assets. I’ve met dozens of individuals with stellar personal brands that don’t even have websites, let alone logos and social media accounts. Logos and visual assets are a product of your personal brand, not your brand itself. Think about a company like Coca Cola: while their red and white script logo is recognizable and always associated with the cola product, without the product itself, you just have a logo. It’s the tested recipe and the consistent taste that make up the personal brand. Branding is only for large companies like Apple. We can learn a lot from large companies about how to create and manage favorable brands, and the principles of branding are the same, whether referencing a company or an individual. A brand conveys who you are, what you do, and what makes you unique in a succinct way. A brand helps consumers make connections between your name and what their experience would be to work with you or buy your product. It doesn’t matter if you have a large company or are a one-person operation. Your brand should be appealing to everyone. In my role as a book publicist, I often speak on panels with other publicist and book marketers. While we utilize many of the same tactics and strategies to promote our clients, we each have our unique styles and philosophies. Some believe in “more is more” and there is no media opportunity too small. There are others who only go after big media hits and don’t believe the smaller outlets are worth their time. There are some that strongly believe in utilizing social media to build a following. Others think it’s a waste of time. I’m not saying that one philosophy is better than the other, but it’s important that your philosophy is conveyed in the form of a personal brand. You don’t need to appeal to everyone; you only need to appeal to your ideal client or customer. I work in corporate; I don’t need a personal brand. I’ve heard this several times (mostly from my wife) that personal branding is only useful for entrepreneurs, creatives, sales people, and service providers. But the truth is, if you want to rise within your corporation, a personal brand is crucial. When people are considering who to promote into their group, lead a team, or oversee a project, they too want to know what they’re going to get. If they need someone to help transition teams onto a new software system, and your personal brand is that you’re a strong teacher and systems-user, then you’re more likely to get chosen for that project. If you want to be in a leadership position, but you’re conveying the brand message that you’re better in a support role or in project management, then it’s important to make some changes and establish a brand that’s going to set you up for the career you want. Personal branding is a solo activity. While the process of identifying and crafting your personal brand message is something you do on your own, the act of establishing that personal brand takes root and grows through your built-in network. Your employees and contractors convey your brand message when they interact with potential clients, vendors, or peers. Your clients help establish your brand when they communicate their experience working with you. Your referral streams share your personal brand with potential clients or employers. The responsibility of establishing your brand out in the world doesn’t rest entirely on your shoulders; your network will also help to spread the word. 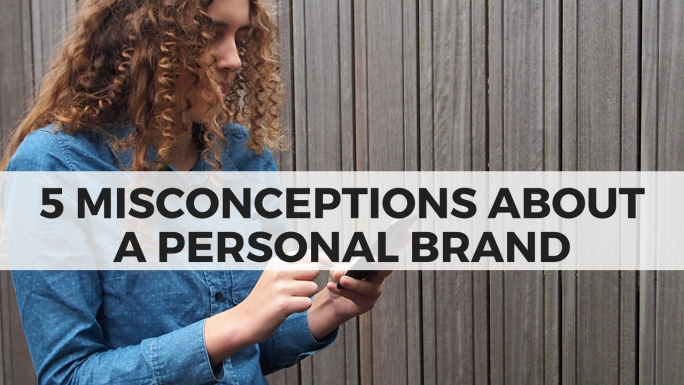 Have you heard other myths or misinformation about personal branding? Feel free to share them in the comments! And don’t forget to download your personal brand worksheet so you can start identifying your unique personal brand.